A large game of unknown maker and origin - very likely to be Arcofalc from Italy. 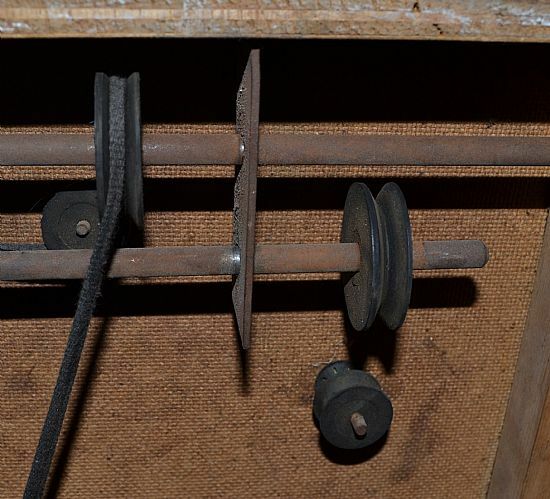 Miussing the four legs that bolt onto the sides of the frame. Simple handle turns players gameplay in a robust wooden stadium. I am currently restoring this game and any details on the original rubber bands or connectors under the pitch would be most welcome. Large table top game in a sturdy wooden stadium. Complete but in need of substantial renovation. 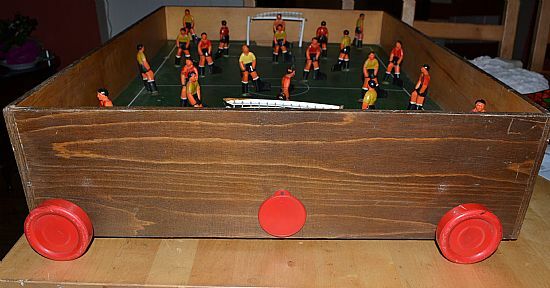 Large wooden pitch with players that rotate on spindles controlled by handles at the end of the table. Flat and with no chance of the ball going out of play. 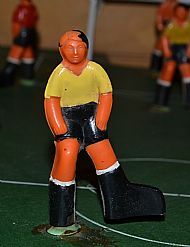 Large moulded plastic players with over size club foot! 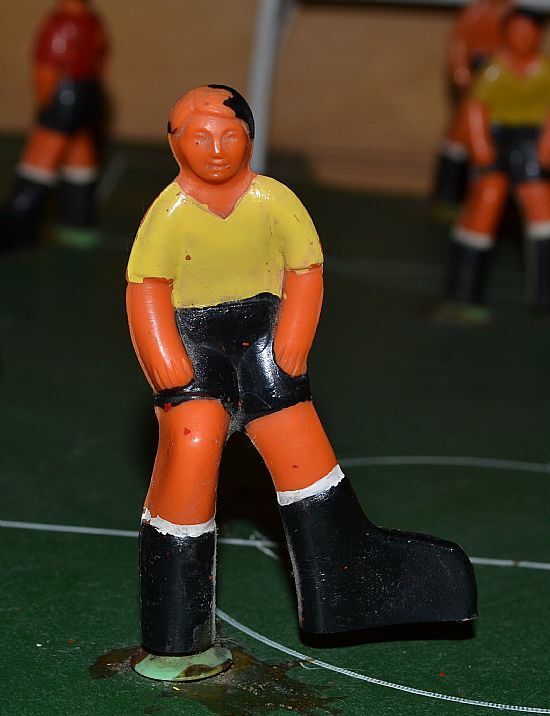 Choose between a traditional welly up the pitch or a deft back flick. Two handles at the end of the pitch control selected players. The players rotate on spindles. 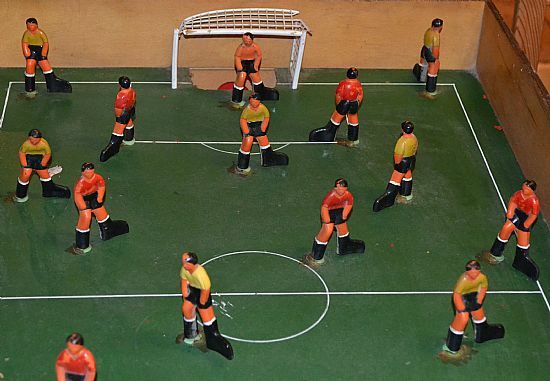 Forced to save using their club feet! 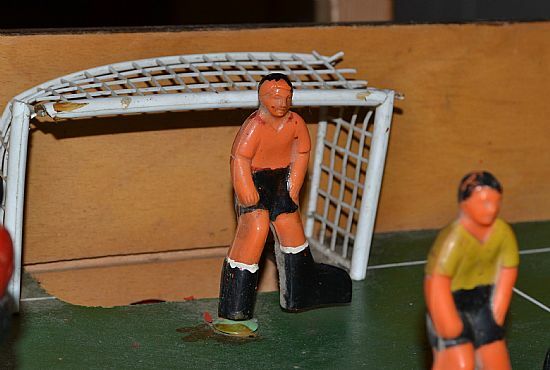 Highly immobile and frustratingly unable to save any shots. A complex arrangement of pulleys, spindles and cranks enable the players to move. The elastic bands are long perished and the shoe laces don't work as a replacement.